An apple a day, keep the doctor away. But what if bad apples? Bad Apple is a puzzle game on www.bestgames.pk in which you try to eat as many good apples as possible. Click on the apple to bite into it. If you eat a good apple, it will reveal the number of adjacent bad ones (including diagonally). For instance, if a good apple reveals the number 1, there is one bad apple adjacent to it. Try to eat good apples. If you act a bad apple, the game is over. Good luck! Get ready for another mother and daughter fashion challenge, ladies. 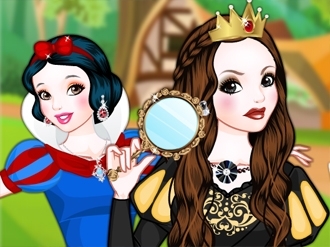 Apple White, Snow White’s loved daughter and one of the most beloved Ever After High characters and Snow White, the fairest Disney Princess of them all, feature this brand new princess dress up game on DressUpWho.com. They both are going to head to the famous school for fairies and princesses for the annual mother and daughter day and the girls need to decide what outfits to pick for this important event! Should they go for their traditional outfits or should they pick something more playful and modern? 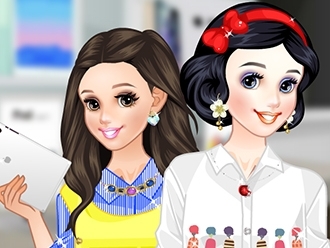 That’s something you are going to decide in the ‘Snow White N’ Apple White’ dress up game for girls. 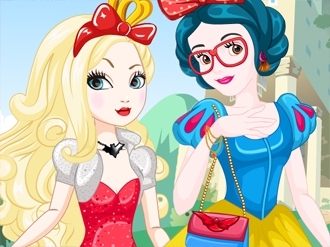 Start by selecting a lovely two pieces outfit for beautiful Snow White, then style up her gorgeous black hair locks and accessorize the chosen outfit with statement shoes and glittering accessories. Next, you’re going to have to style up her gorgeous daughter as well. For beautiful Apple white you can select a tutu dress in a bold color and some heels to match, a new hairstyle and some sparkling jewelries to complete her royal look as nicely as possible. Have a great time, ladies!